It's Minerva Blogger Network time and yet again I've failed miserably in the "match the project to the weather/season when the post goes out" stakes. In my defence, we have to order the fabric for our projects three months in advance and I clearly wasn't thinking October weather when I planned this make back in June. Anyway, if you can suspend your disbelief for a second, I present my October project - a holiday bag!!! I chose the same strawberry print fabric that Winnie used for her full skirted dress, and If I'm honest I did have a bit of a "doh" moment when I first saw her post. Why didn't I think to use the fabric to make a dress?! It's perfect and the lines of strawberries and gingham are very reminiscent of Horrockses fabrics. 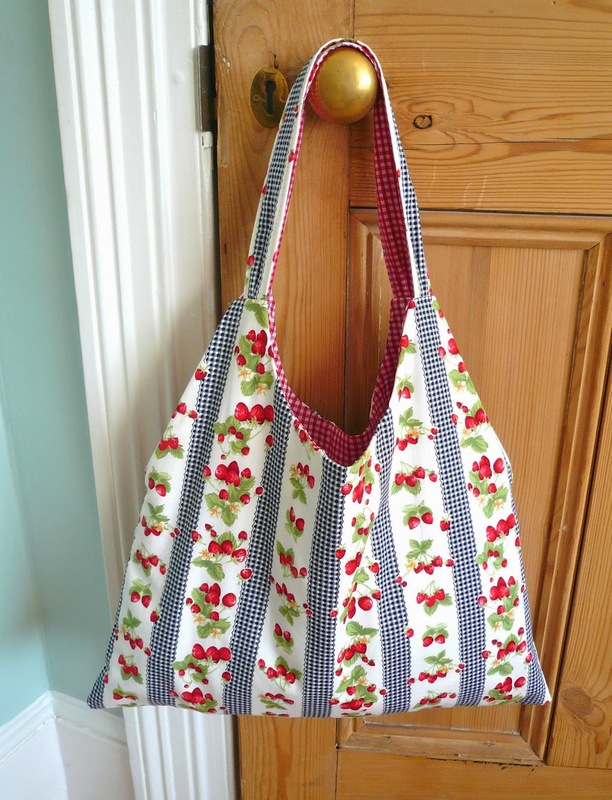 Anyway, my strawberry fabric became a bag, and a damn fine one at that. It's reversible and the lining fabric is a plain red gingham (what else?!) I love how the two fabrics look together. I made this bag specifically to take on holiday in August and it co-ordinated perfectly with my entire holiday wardrobe! The pattern I used was Amy Butler's Swing Bag, which I tracked down after seeing Karen's typewriter bag on her blog. Karen declares the bag a veritable Tardis and she's not wrong - it held absolutely tons of stuff on holiday - water bottles, arm bands, purse, bunch of bananas, beach ball, fondue set, cuddly toy - you name it, this bag will hold it, no problem. The one thing I didn't take into account when I made the bag was where to put my phone/keys, lippie etc. I wasn't fore sighted enough to include a phone section or a zipped pocket. I did have a bit of fabric left over though, so I whipped up a matching zipped purse to use with the bag - perfect for stashing all your important bits in one place. If you want to make your own bag using the same fabrics then you can buy the kit here. The kit comprises a metre each of the strawberry fabric and the red gingham. It doesn't include any interlining because I had some plain calico at home that did the job pretty well. If you did want bag interfacing material, then Minerva stock one which is available here. Both are beautiful. Great choice if fabrics. Cute bag and perfect timing for Christmas gifts ideas. And I can testify its as gorgeous in real life. But am super impressed with the amount you can stash in it....and sew sleepy is right, maybe your timing is better than you think?! Gorgeous! 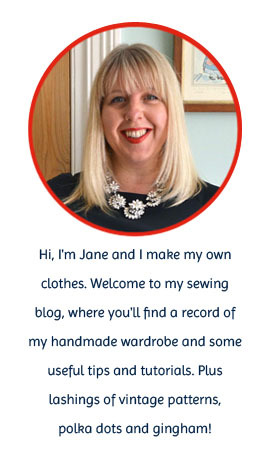 but I am going to have a go at the reversible bag from your tutorial first. Love the bag! It's awesome!